Are there interesting things to do in downtown Honolulu? You bet there are. Here are some of the best of them. 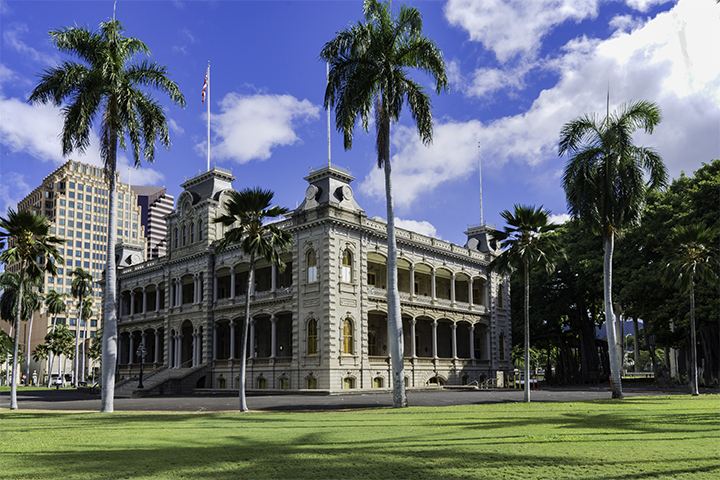 First, you can go and see the only royal palace in the United States, called Iolani Palace. This is because, before the US annexed it as a territory, Hawaii was actually a royal kingdom. The last monarch of Hawaii was Queen Liliuokalani and the palace was her residence. On the other side of the street from Iolani Palace, you can view a large statue of King Kamehameha. He was the king of Hawaii who united all of the Hawaiian Islands under a single rule. 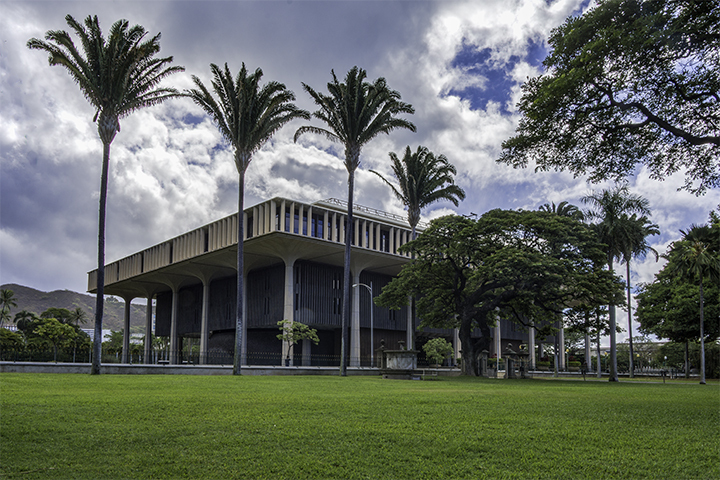 Nearby is the Hawaii State Capitol Building. Inside, you can see a statue honoring Father Damien. Father Damien was a Catholic Saint who gave his life administering to those afflicted with Hansen in the 1800s. At the time, the government banished people with Hansen Disease or leprosy to the Kalaupapa colony on Molokai. 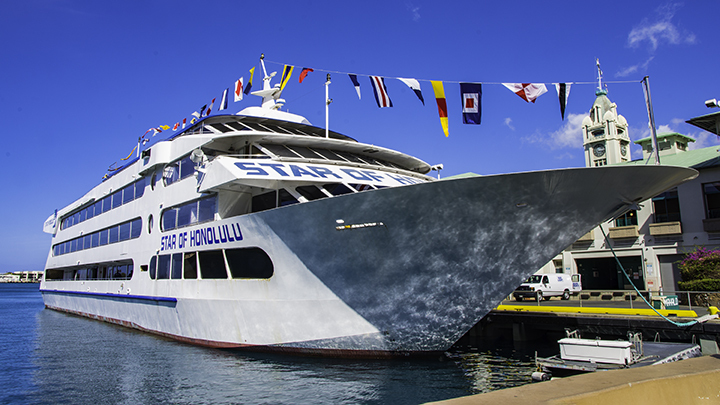 The Star of Honolulu berthed at Honolulu Harbor. Downtown Honolulu is not that large so you can easily walk around the area in a couple of hours. 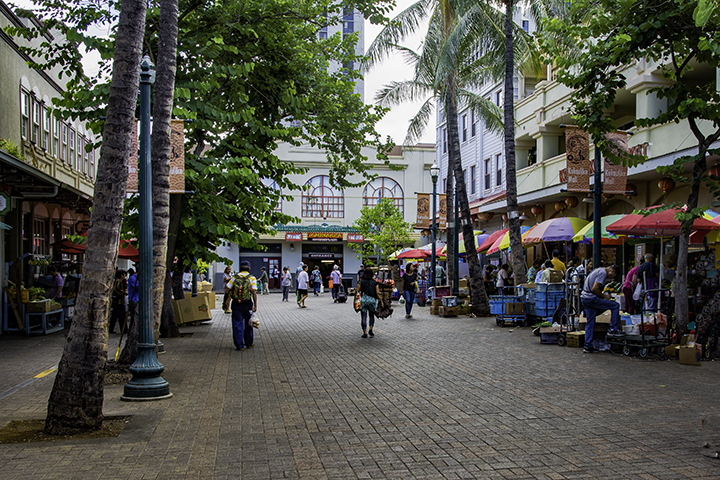 If you head towards the south or makai end of town, you will find the Aloha Tower complex. Here, you can even take a short elevator ride to the top of the historic Aloha Tower building where you can enjoy a commanding view of Honolulu Harbor and of the downtown areas. Nearby is the Hawaii Maritime Center where you can learn about Hawaii’s long-time oceangoing heritage. After that, head west or Ewa and have a nice, inexpensive lunch in the Chinatown area of town. Here, you can find a lot small quaint restaurants serving ethnic foods from all over the Pacific Basin. You can also find local stores that sell uniquely Hawaii foods such as manapua, the Aloha State’s version of Chinese dim sum. Stop by the open market where you can see fresh island produce and seafood sold at some very nice prices. And of course, Panda Travel ® can book your travel to Hawaii at some of the best prices that can be found online. Check out our website for a wide range of Hawaii vacation packages that will suite your budget and schedule.